Your face will love the skin nourishing ingredients in this kit! Bentonite Clay, Oatmeal, Flax Seed Powder, Coconut Milk Powder, and Aloe Vera Powder combine to make this skin-softening mask. 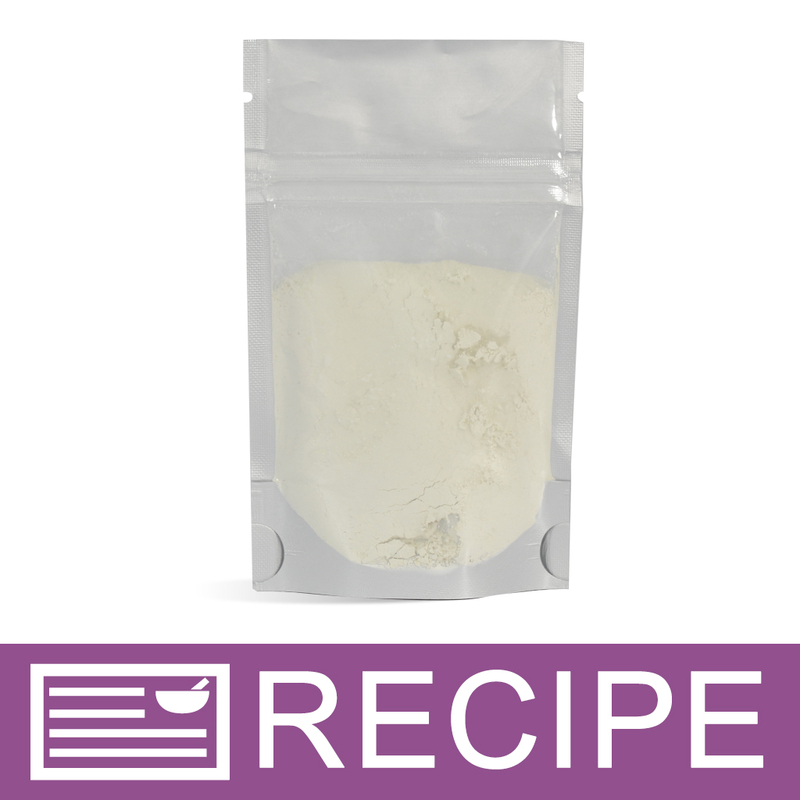 Kaolin Clay, Colloidal Oatmeal, Coconut Milk, Flax Seed, Aloe Vera Powder. "Can't wait to order more "
COMMENTS: This mask is super easy to make and that is what I love. Not only is it easy to make it Also works greatly. I never use anything on my face. But I made it a point to try this before I offered it to any of my customers. And I loved it. My face felt fresh, smooth amd so clean. I didnt find the packages hard to fill at all. I simple used a teaspoon and had no issues. The only thing that would make this better is clear instructions on how much water to use per teaspoon for mask. COMMENTS: It is an awesome kit that takes no time to make and is a customer favorite! COMMENTS: Face masks are great for product lines. Face masks is one of my best sellers for all ages. COMMENTS: Very easy to make kit, the hardest part was filling the bags. I used a funnel and a bamboo skewer to keep the powder flowing through the funnel. Bags sealed very well, no problem at all. All ingredients were clearly labelled, in their own packages. You do need to weigh some of them, as the kit comes with more than is necessary to make the recipe. A simple kitchen scale worked great for this task. If my product testers like this mask I will definitely purchase this kit again. COMMENTS: I've never had a problem with any of these ingredients in the past but after measuring everything, applying a nice lather and letting it dry, I washed the mask off to a BEET red face only in areas it was applied. Around the eyes and mouth had no redness. Didn't hurt or burn, my face just felt warm and tight. Might have to tweak the ingredients before I feel comfortable selling this in my store. COMMENTS: These face masks literally flew off my table. I can't wait to make more! COMMENTS: Amazing! This mask leaves your face feeling smooth and very clean. I don't make the mask very thick so I get 4 masks out of a bag. Definitely a product I will be keeping in stock. COMMENTS: I weighed each ingredient, and had plenty left over (except for the kaolin clay, which was exactly enough for the project). I was able to fill each foil packet with .75 ounces of product, and had some left over mask to try out. The foil pouches were full all the way to the zipper portion of the packet, but I was able to seal them with an iron without difficulty. The mask itself works well. The flax seed exfoliant caused a little redness, but of the 4 people that tried it no one felt any discomfort or itchiness after washing it off. Left skin feeling smooth and soft. I have a feeling these will sell quickly, because you can get at LEAST 2 uses per packet, possibly as many as 4. COMMENTS: I loved this when I tried it. Made a nice hard face mask and was really easy to make. I think people will love them. "How much water do I use per teaspoon to make mask? " 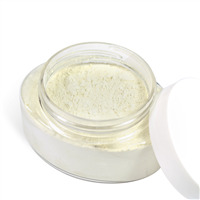 Staff Answer You can add a few drops at a time until the powder mixes into a paste that can be spread on the face. 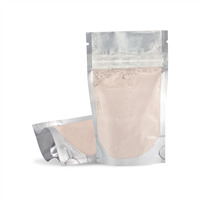 "Hello -- I noticed the description of this kit says kaolin clay but then the ingredient list shows only bentonite clay. Can you kindly clarify which clay is part of the kit? Thank you!" Staff Answer The kit contains bentonite clay. The original recipe called for kaolin but we were out of stock for quite some time. We changed some of our recipes to different clays during this time. "Can I add this coconut milk face dry mix to aloe vera gel and apply as a mask instead of adding water?" Staff Answer Yes, you can absolutely use the aloe vera gel as a base for your dry face mask. "What is the shelf life of this product once complete?" Staff Answer This product will be good for at least one year from production. "Could you pre-mix this with a coconut milk or water, and present as a ready to use mask? Which and how much anti-bacterial agent would you need to use, if any?" Staff Answer We find that pre-mixing often leads to settling issues. If you did pre-mix you would need to add a preservative such as Germaben II.